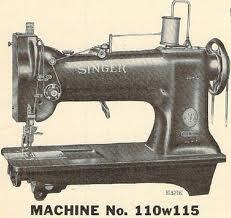 In March of 1976, I rented an industrial sewing machine for $36.00 per month. Rental applied toward purchase if I decided to continue and continue I did. 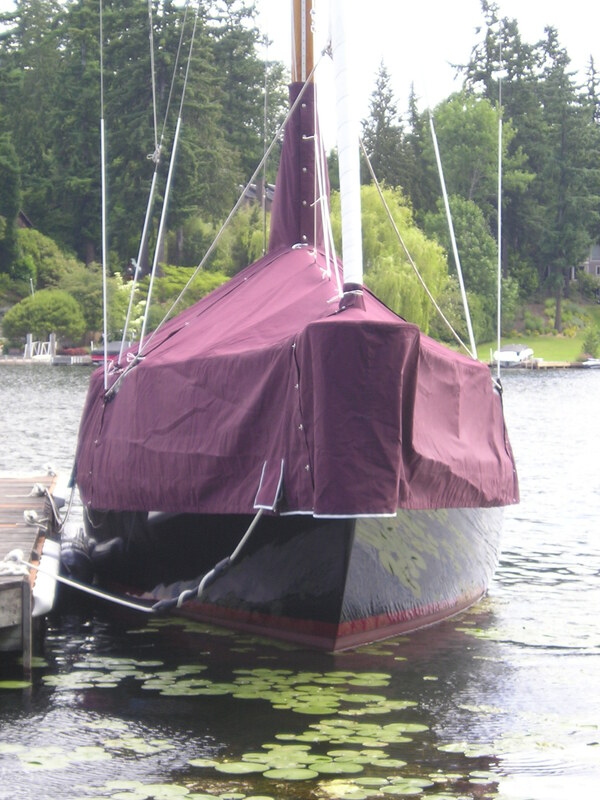 This week I am celebrating 36 years of fabricating custom marine canvas. At the time, I was happily working for Northwyn Sails and was satisfied to be part of the sailoft symphony. On the main floor, bolts of cloth were the bass line beating back and forth across the varnished floor. Ruddy and the Twins pounded grommet percussion behind Iris who sewed the chorus line, behind Maureen who sewed harmony. Staccatto Merv, his wife, Deanie and their son, Jeff popped in and out of the office like birds in “Peter and the Wolf”. Meanwhile, Peter and Scott and Brian made their pitch on telephones poised above desks cluttered with sail designs the rest of us were working to deliver. Into this delicious cacophony came a sailboat salesman named Bill Hansen bearing a tattered sailcover and a sad story about how their “usual guy” was sick and could I just make this one cover? Please? Bill had been nagging me for months to start my own business. I repeatedly said no. But Bill had the right combination of persistance and persuasion to wear down my resistance. With the suggestion to do just one cover, I finally said yes. Using the old one as a pattern, I sewed the cover together with a sailoft machine. It had a zig-zag stitch which gathered the edges and, by the time I was done, I didn’t think it was pretty. But Bill was quite pleased. In fact, he started telling the other sailboat dealers that he had a new source for canvas. I started getting calls. And that’s why I rented the machine. Using the basement of my mother’s home, I worked evenings and weekends sewing blue acrylic canvas. At first, the requests were simple duplications of existing covers. Then the projects got more and more three dimensional and I was unsure how to proceed. I said yes anyway and wandered the docks looking at other work and using my basic visual capabilities to imagine the process. The rest was one part courage and one part cavalier. I loved the challenge. In June of that same year, I bought the sewing machine and for a year and a half, I worked two jobs. They were a good distraction. My father had died of a massive heart attack in August of 1975, and my mother was dying of breast cancer. I thank Bill Hansen for tossing me a lifering I could float in. Within a few months of my mother’s passing, I quit my job at the sailoft and immersed myself in my new business. I really wouldn’t have chosen self employment. I had no business training and no knowledge of bookkeeping or human resources to start with. But I knew how to sew and just kept saying yes and the pieces fell together. I took a short accounting class at the University of Washington and then focused on creating quality products. Employees arrived and departed. I moved my business into the space that was vacated when Northwyn closed and hired more employees and managed to stay ahead of them. Always, I was at the edge of my knowledge. And always, I said yes, I can do that. Even when I didn’t know how I would. Looking back from this anniversary point, I see a portfolio filled with colorful canvas sculptures. I also see a life full of growth, change and challenges and I really wouldn’t trade it. Are you satisfied with your career choices? Is there some new opportunity in your life waiting for a yes? Your canvas work and writing are beautiful. I can’t say I’ve found satisfaction in my career choices thus far, but I’m working on it. Thank you, Jeanne, for a lovely post. You are truly an inspiration. Thank you for sharing your story! Thanks, Kelly. I’m rooting for you in your journey towards something new! And thank you, Denise, for reading and for commenting. I value a lively dialogue and you help make that happen. I loved reading about your path. Thank you for sharing so honestly. And, honestly, no, I haven’t been satisfied with my career choices. I got started way too late tapping into my skills and passions. I didn’t discover either one – writing and dancing – until after physical energy started on the down side of aging. Writing at 50, dance at 62. The thing I notice most is that my tolerance for anxiety is practically zero. I no longer feel compelled to “challenge” myself, and step out of my comfort zone less. I want to feel comfortable, calm, content and this doesn’t leave much room for pushing myself into places that are stressful. Wanting to preserve my good health is paramount and stress works against this. The down-side of this is that I’ve become lazy in applying myself. Right now I feel internal pressure to put more effort into my writing, which includes the marketing side. I hate this part. My head knows lots of stuff, but sometimes I opt for mindless and just do the dishes instead. Didn’t mean to make this so long. Thanks for sharing your story. I loved learning about your late blooming; it inspires me to continue stretching. Your comment about stress and the health impact makes me stop and assess. Does the thrill of the challenge outweigh the accompanying stress? Usually. But I think I will pay more attention to this now. And as far as marketing, I’m with you on that. I know I’m capable, but I would rather not. Also, I enjoyed your long response. The better to know you!